General Zubair Mahmood Hayat, Chairman Joint Chiefs of Staff Committee in the Islamic Republic of Pakistan and his accompanying delegation visited the National Defence College (NDC) in Muscat, Oman. The Pakistani guest was accompanied during the visit by Lt. General Ahmed bin Harith al Nabhani, Chief of Staff of the Sultan’s Armed Forces (SAF), and Pakistani Ambassador to the Sultanate. 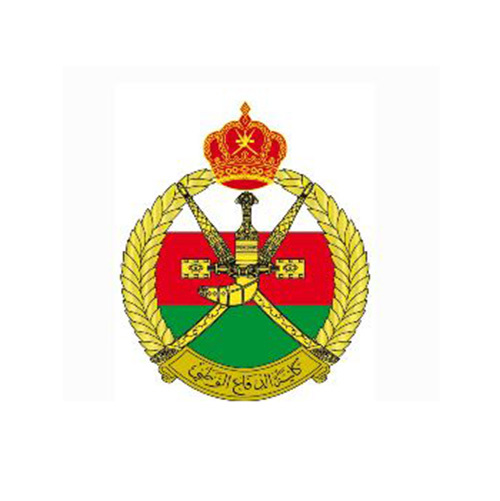 They were received upon their arrival at the College’s HQs’ at Mu’askar Bait Al Falaj by Major General Salim bin Musallam Qatan, NDC Commandant, according to Oman News Agency (ONA). During his visit to the College, the guest and his accompanying delegation watched a film on the NDC and its academic facilities. They also viewed the NDC’s various halls that are designed according to the latest specifications and provided with the best educational systems and multi-purpose electronic networks. NDC Commandant and Ali Javed, Ambassador of Pakistan to the Sultanate signed a Memorandum of Understanding (MoU) on the fields of academic cooperation and scientific research between the NDC and the Pakistani National Defence University (NDU). The event was attended by Brigadier Mohammed bin Ya’arub al-Saifi, NDC Assistant Commandant, Brigadier Sulaiman bin Khalid al- Zakwani, Director General of Studies and Academic Affairs at the NDC and the Pakistani delegation. Earlier, Sayyid Badr bin Saud bin Harib al-Busaidi, Minister Responsible for Defense Affairs in the Sultanate of Oman received the Pakistani Chairman of the Joint Chiefs-of-Staff Committee. The meeting reviewed fields of the existing military cooperation between the two friendly countries and discussed a number of matters of common concern. The Pakistani guest and his accompanying delegation also had the opportunity to visit the Sultan’s Armed Forces (SAF) Museum. They were received by the Acting Director who escorted them in a tour of the various sections at the Museum. The guest viewed the historic manuscripts and models depicting various Omani architecture arts at Bait Al Falaj Castle. The Pakistani Chairman Joint Chiefs of Staff Committee and his accompanying delegation also paid a visit y to SAF Command and Staff College (CSC) at Mu’askar Bait Al Falaj. The guest was escorted during the visit by the CSC Acting Commandant and a number of CSC officers of Guidance Authority, during which he toured halls, classes and facilities of the college. He was also briefed on the SCS, its curriculum and the modern technology provided in the college. Lastly, General Sultan bin Mohammed al-Nu’amani, Minister of the Royal Office received in his office General Zubair Mahmood Hayat and his accompanying delegation. General al-Nu’amani stressed the deep relation between the Sultanate and the Islamic Republic of Pakistan. On his turn, the Pakistani guest commended the bilateral binding his country with the Sultanate. The meeting discussed means of promoting and enhancing areas of cooperation between the two friendly countries and discussed a number of issues of common concern.